Posted August 10th, 2014 by Jari Juutilainen & filed under Comets, Observations. 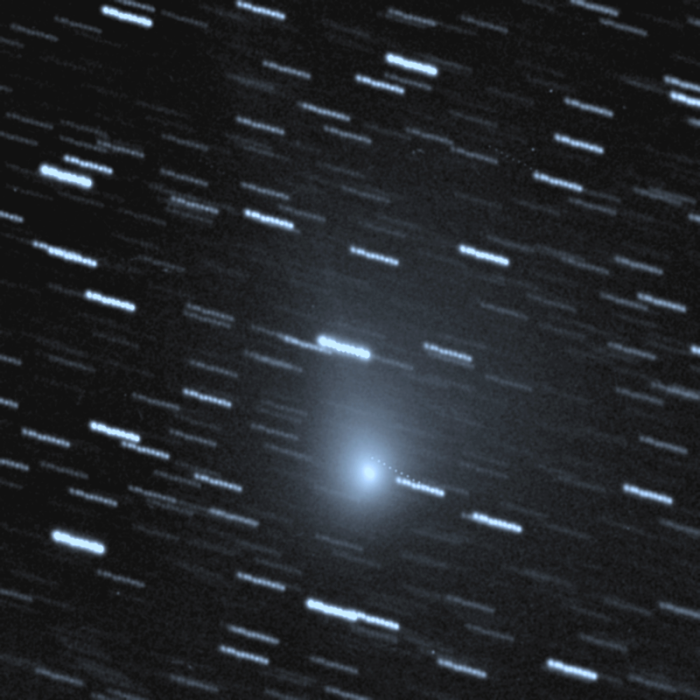 A new season started in THO with a nice picture of comet C/2014 E2 (Jacques)! Taurus Hill Observatory’s reasearch team member Veli-Pekka Hentunen observed the comet during the night between 5th-6th of September. A light of the comet was captured in a 10 x 90 seconds sequences. It still takes at least a few weeks before the night sky is dark enough for a more demanding deep sky imaging but we are getting there. The new observation season for THO is now officially open!